We’re delighted to announce we are charity partners for the 2017 Sanlam Go Dad Run – a series of 5K and 10K runs across England and Wales for men and boys to raise awareness and funds for charities supporting health issues that affect males. Headed up by three-time world champion athlete Colin Jackson CBE and a host of sport legends including Jamie Baulch, Mark Foster and Derek Redmond, the regional chipped races are open to all men and boys of any age. We hope that lots of fathers, sons, brothers, partners, friends, neighbours, work colleagues and teammates will take part to raise funds for Bowel Cancer UK to support vital research and lifesaving work to stop bowel cancer. And, of course, mums, wives, girlfriends and sisters all have a big role to play in getting the men in their lives to sign up and supporting them on the day. 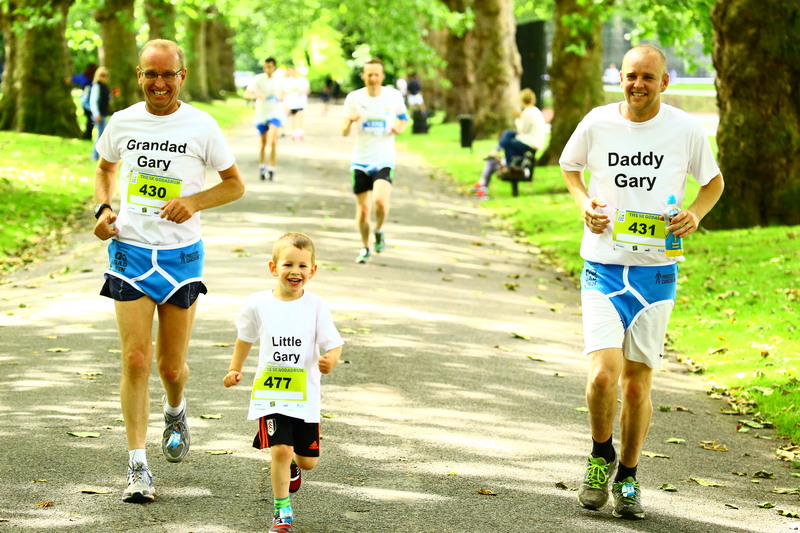 Register your interest here to receive your exclusive Go Dad Run fundraising pack, which includes a pair of Go Dad Run Y-fronts, PUMA t-shirt, big yellow drawstring bag as well as Bowel Cancer UK t-shirt and a medal at the finishing line. “A few years ago two of my uncles developed prostate cancer and although one responded to treatment and is now fit and well again the other was less fortunate and, sadly, passed away. That prompted me to find out more information about the illness and I was shocked to discover that whilst 1 in 8 men in the UK will develop prostate cancer, that actually rises to 1 in 4 men from an African Caribbean background. “I’ve long been inspired by the amazing success of Race For Life and decided to create an event specifically for men that would raise funds for Prostate Cancer UK and just as importantly, help create additional awareness of the condition and that led directly to the creation of Go Dad Run.